2. 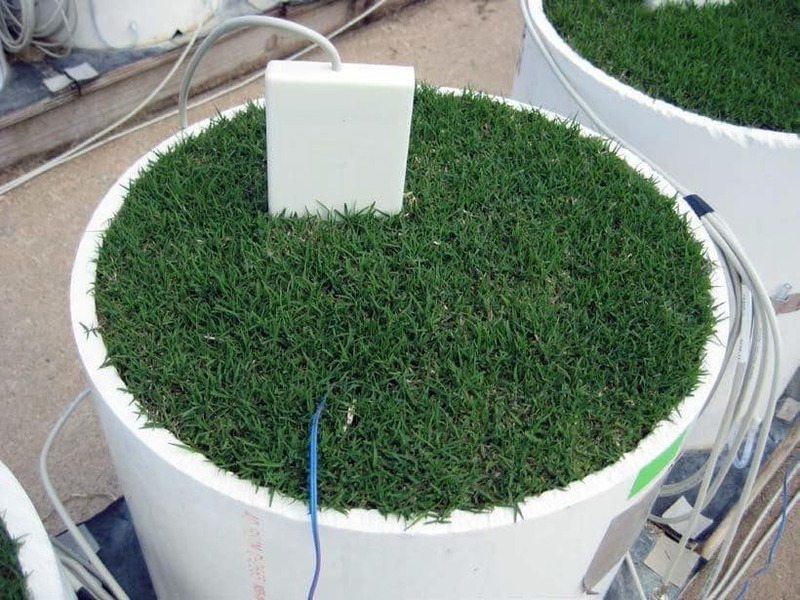 The added stored water will allow longer intervals between irrigation. For a deep rooted turf in the heat of summer this could amount to an additional 2 days between watering’s and may be longer during cooler times of the year. 3. At a depth of 3 inches below the soil surface the AirField profile contained 3.3% more water by volume as compared to the USGA type profile. 4. 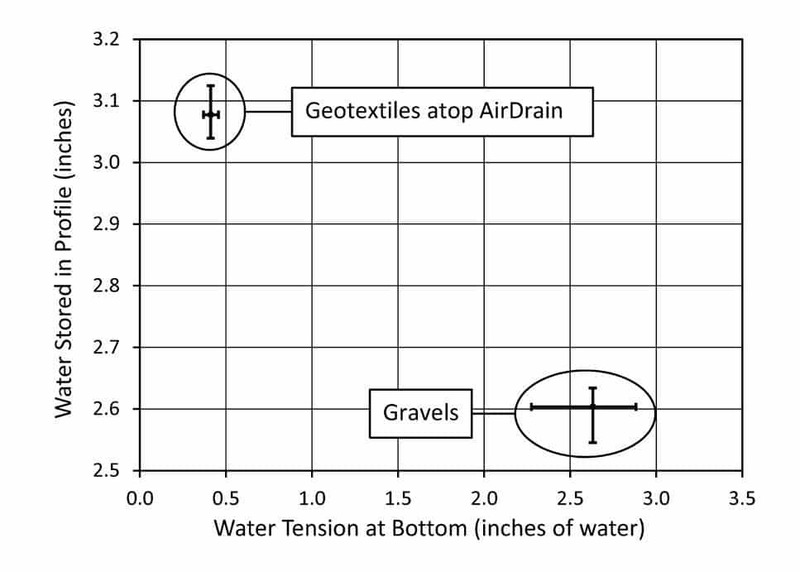 The AirDrain creates a better perched water table as compared to the gravel bed used in USGA systems. 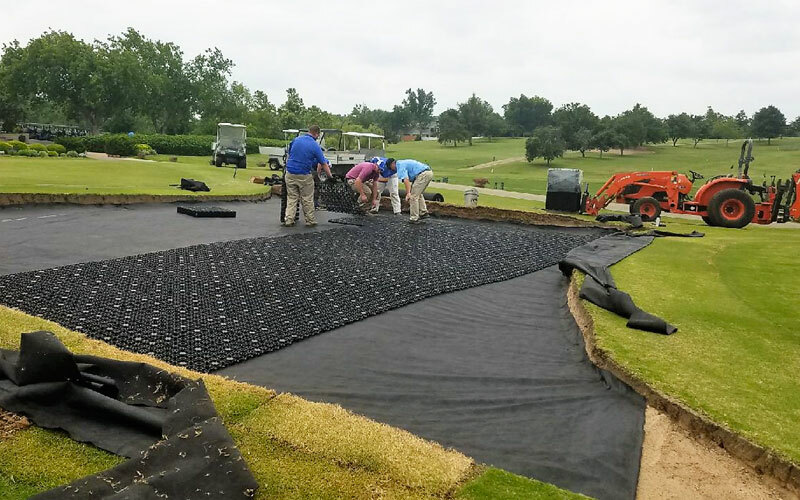 Gravel will allow some continuous water films to form and thereby increase the tension and remove additional water from the overlying root zone. The AirDrain does not support the formation of such water films and thus forms a better perched water table. 5. 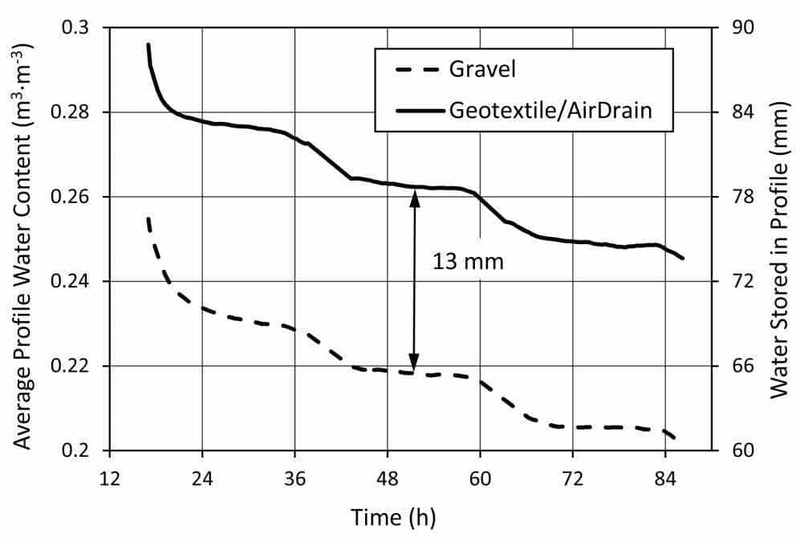 No clogging of any of the tested geotextiles was observed in any of the root zone materials that met or were slightly finer than the USGA particle size recommendations. 6. Some reduction in saturated hydraulic conductivity of the root zone material was observed due to fines migrating into large pores and partially blocking them. Data indicated that the majority of this occurred in the upper 6 inches of the root zone profile. AirField’s AirDrain Systems other Advantages! No drainage under the AirDrain is needed only perimeter drains the AirDrain creates 100% vertical drainage across your entire field. No other product even comes close. AirDrain is palletized at 798 sqft per pallet and has a tab on one corner painted yellow, and male and female connectors to attach this makes attaching the grid as easy as possible, it doesn’t get any easier. Pallets can be staged across the field for easy installation the parts weigh 3 lbs. per piece. Assembly is so easy we actually had a class of 8th graders install a field. An AirDrain System is able to capture and move water to a containment pond or underground storage etc. for reuse. 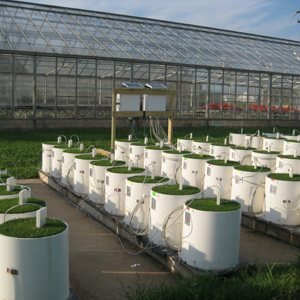 In certain parts of the country you might be able to have a self-sustaining field due to the water holding abilities of the AirDrain System. AirField is always available by phone or to help in any way we can!